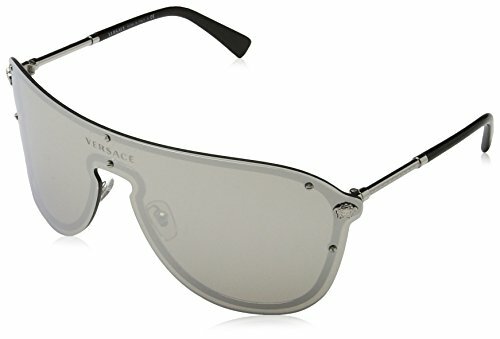 Sleek Versace sunglasses with a wraparound frame. Medusa emblems accent the corners. Keyhole bridge. Etched temples. Mirrored lenses. Hardshell case and cleaning cloth included.